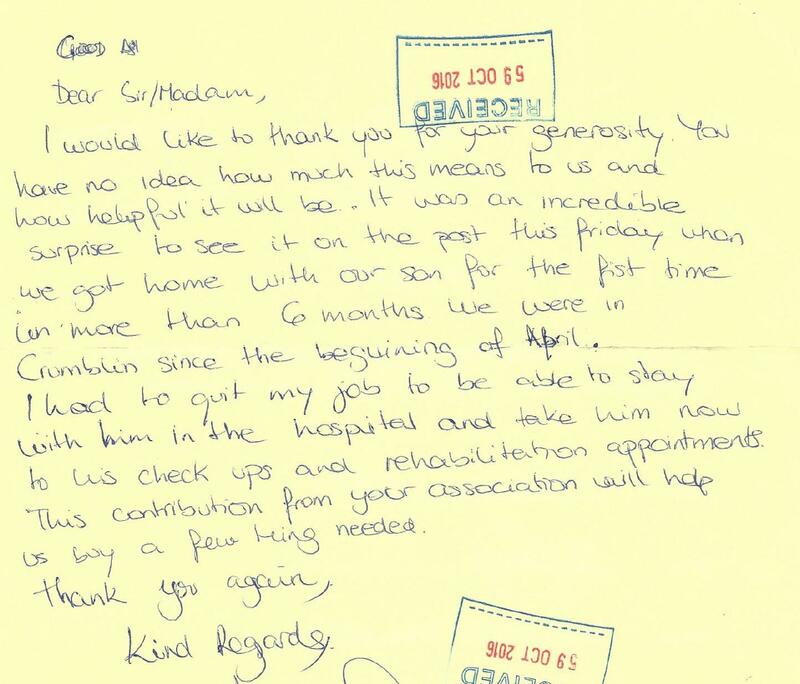 We recently shared with you that we had sent out cheques to 11 Families and we now want to share with you the impact this support had on one of those families. 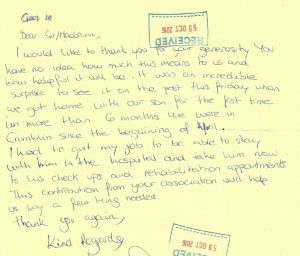 It is fantastic to get letters and cards back from families we assist as it reinforces the importance of the work we do. This is a “THANK YOU” from them to us and to all who continue to support us through fundraising events, donations and spreading the word about Cliona’s Foundation. It all makes a difference.